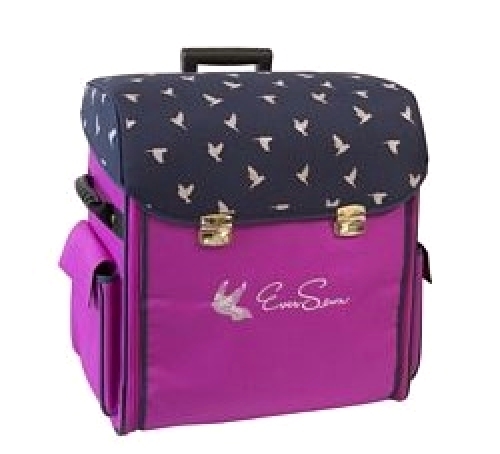 EverSewn machine rolling tote is a compact and versatile tote ideal for storing and transporting your sewing machine. Can also be used as a luggage, brief case, computer bag, hand cart, overnight bag, and more. This tote will give your machine guaranteed ultimate protection. 18"L x 11"W x 19"H.